Extremely smooth texture and strong flavor— though it’s a bit of an odd one. It tastes like it’s emulating chocolate candy as opposed to chocolate. Sweet, and nice to drink, but missing the real flavor of cocoa. 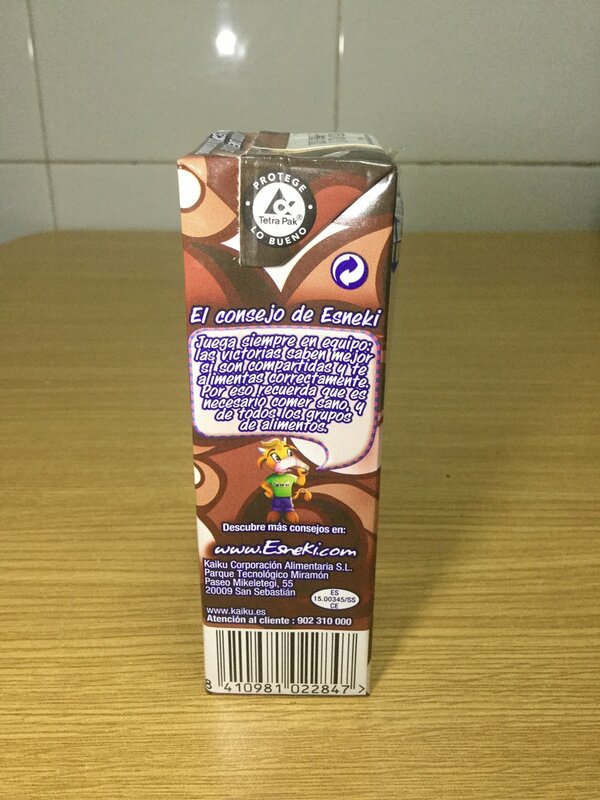 Partially skimmed milk, sugar, milk solids, defatted cocoa (1%), stabilizers [E407, E451], flavoring, vitamins [A, B1, B2, B3, B5, B6, B8, B9, D, E].